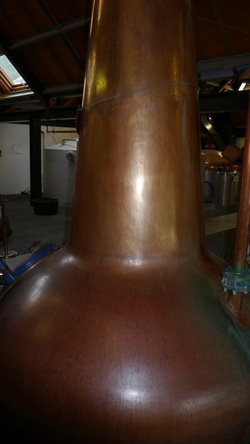 Website has the usual information on the distillery and its whiskies, including an online shop. You can also sign up to the White Stag Community which provides exclusive bottlings, discounts and a quarterly newsletter. 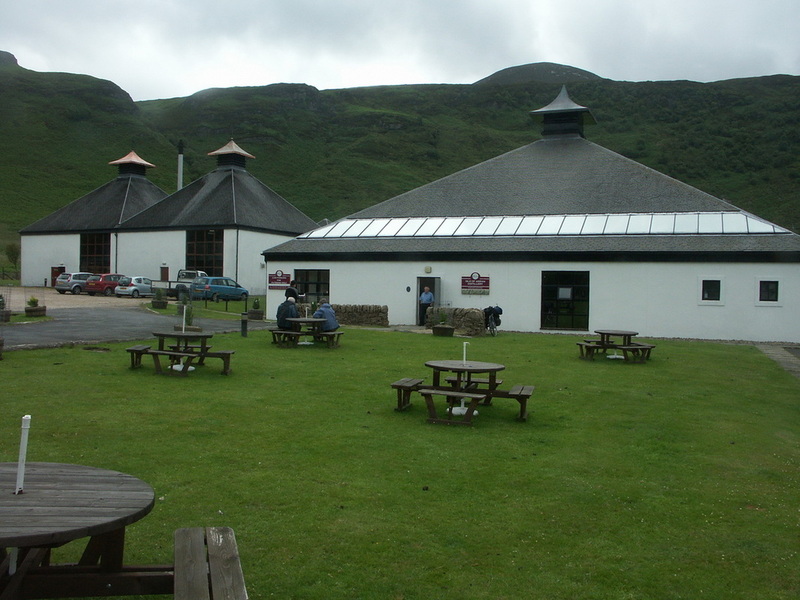 Arran was built with ﻿a vi﻿sitor﻿ centre, and has a café - Casks. 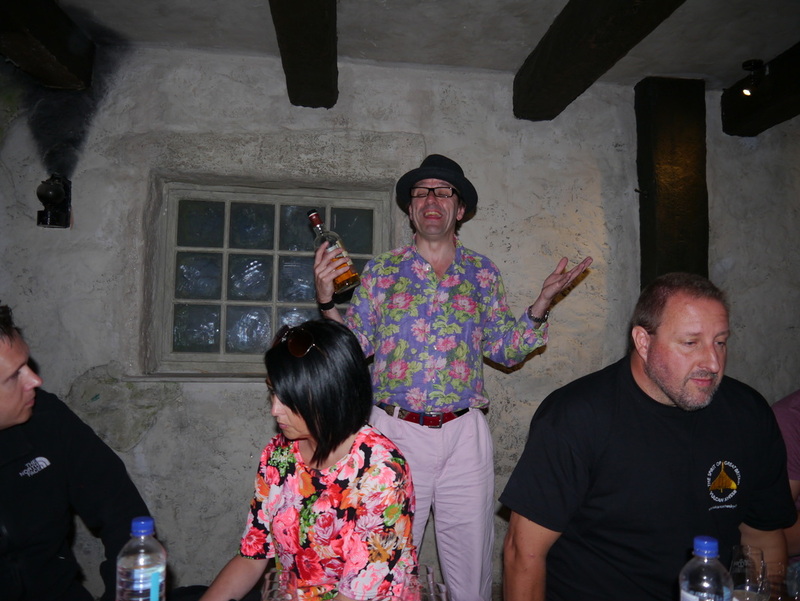 The distillery is open all year around. Opening hours vary between summer and winter - check website for exact dates. Standard tours are on the hour during opening times and cost £8. Other tours are also available, see website. The centre also includes a large shop area with whiskies and related products on sale, including a bottle your own Arranach (20cl). The Isle of Arran Distillery was established in 1993, distilling its first spirit in 1995. It was the first legal distillery on Arran since 1836. 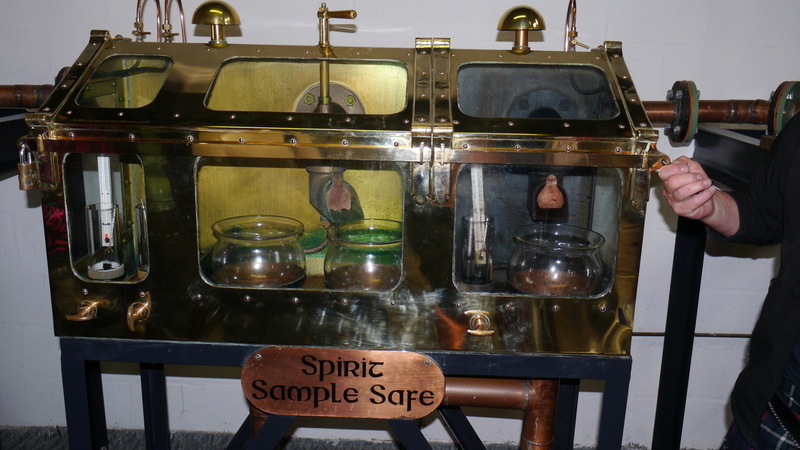 It is thought that prior to 1823, there may have been around 50 illicit stills operating on the island. 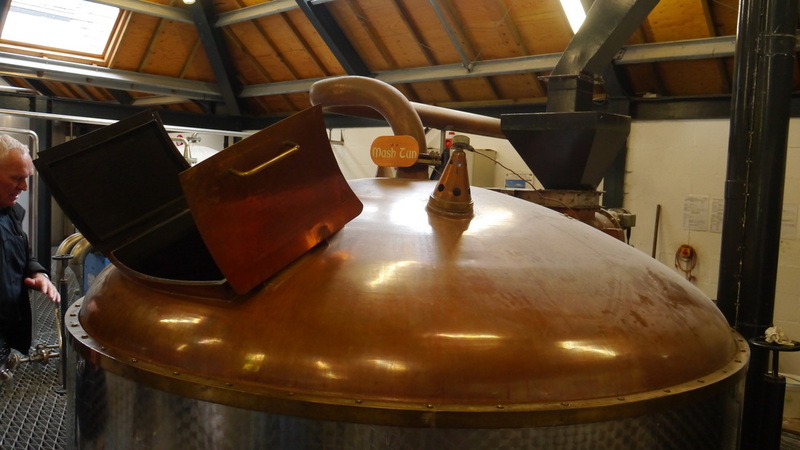 The distillery is in the process of building 2 additional warehouses and also plans to increase production by adding 2 more stills in the next couple of years. The distillery have announced plans for a further distillery in the south of the island at Lagg, which will concentrate on peated distillation. 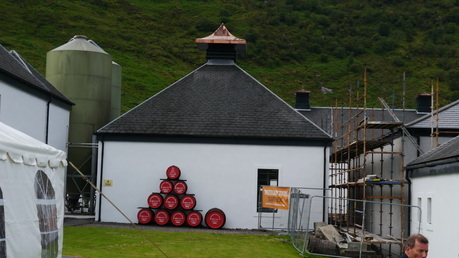 Arran Distillery is at the bottom of the Boguillie, the road over the North of the island close to the village of Lochranza. The main route to Arran is from Ardrossan to Brodick by CalMac ferry (timetable Winter Summer). In the Summer the main boat (MV Caledonian Isles) is supplemented with the MV Isle of Arran to provide additional crossings. The CalMac timetable specifies some summer crossings as peak crossings where saver fares are not valid - this applies only to cars/motorbikes. There is also a small CalMac ferry from Lochranza to Claonaig in the Summer - a single daily crossing from Lochranza to Tarbert is the only Winter link provided to Kintyre. Nearest train stations: 13 miles to Brodick Ferry terminal, then the ferry, then Ardrossan Harbour (ADS) (200 yards), Ardrossan Town (ADN) (0.75 miles) and Ardrossan South Beach (ASB) (1.5 miles). Live Train Times: ADS, ADN, ASB. Ardrossan Town has a few more trains than Harbour, and South Beach about twice as many as it is also served by trains to Largs. 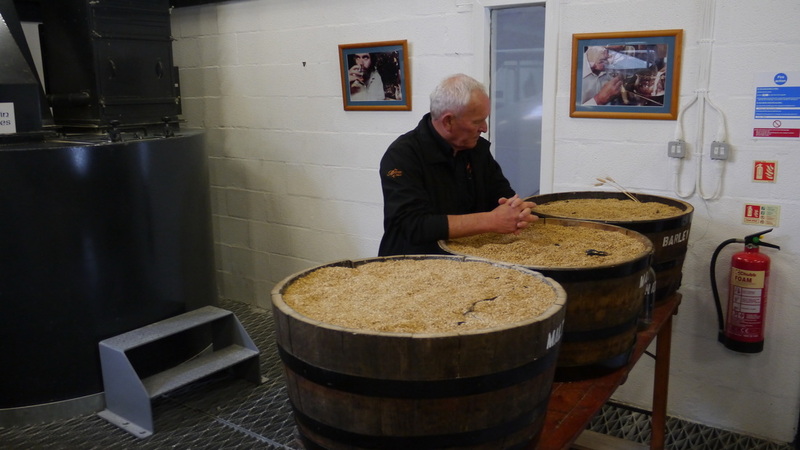 All core bottlings are unchillfiltered and are bottled at 46%, though the Robert Burns Malt is bottled at 43%. 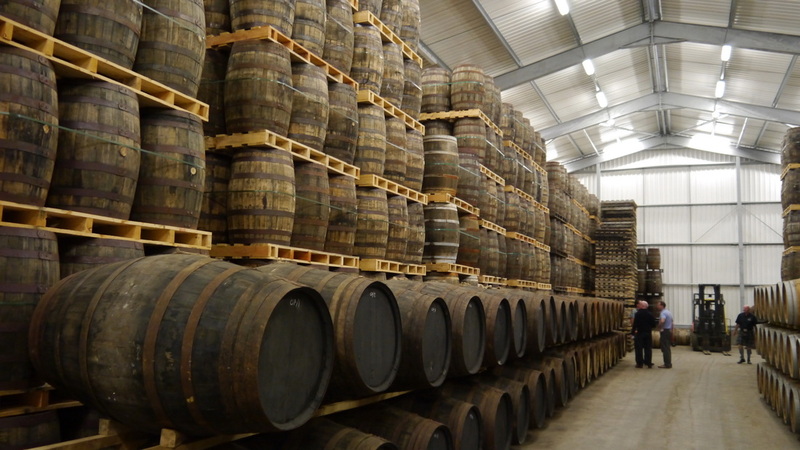 The cask finish range (Port, Amarone, Sauternes, Madeira) is bottled at 50%. A peated version (currently at 20ppm), Machrie Moor is bottled at 46%. 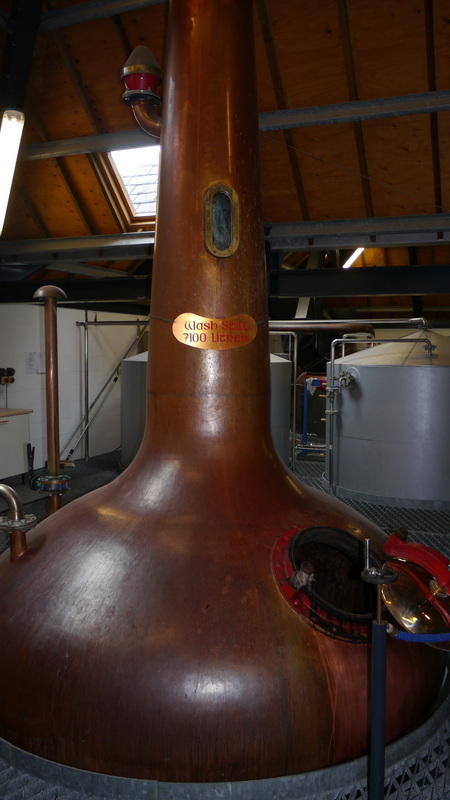 There have been a number of age statement whiskies as the whisky has got older. The 10yo, 14yo and 18yo old are core products, but some of the older whiskies have been released only as limited editions. Cask strength versions have also been produced. 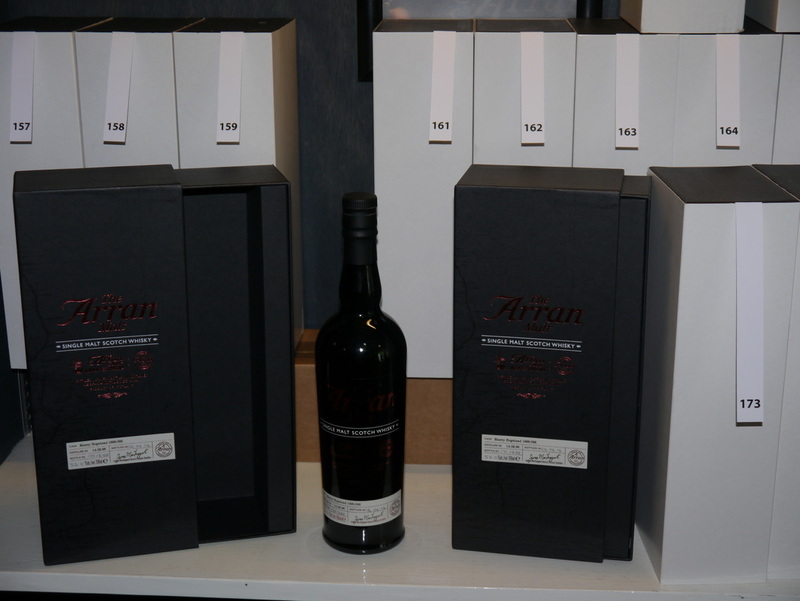 Arran is also available from a number of independent bottlers. Photos on this page were taken by me. Click on photo to enlarge. Full size versions of all my photos of Arran Distillery are available on Flickr.